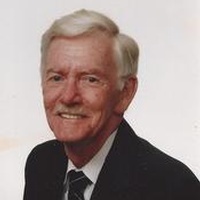 Howard E. Adams, Sr., 76, a native of Orange, Massachusetts & resident of Poquoson for 9 years, passed away peacefully Saturday, December 9, 2011 at Bayside of Poquoson-GLC. After graduating from high school, Howard joined the U.S. Marine Corps where he served 4 years. Howard went on to work for Pan-Am Airlines; Zayre's Dept. Store, and later after relocating to California he became successful in Real Estate. Again, Howard relocated to Virginia where he spent the rest of his life. "Our father enjoyed being surrounded by family, friends, and having a great time. He never met a stranger!" Mr. Adams is survived by his three children, Deborah Reyore and husband, Randy of New York, Howard Adams and wife, Sandy of Lincoln, Kansas, and Faith Willey and husband, Harwood of Newport News; lifetime friend, Clarence P. "Bud" Selliers of Poquoson; brothers, Robert, Albert, and Warren Adams; sisters, Marion Whippee, Ethel Rose both of Keene, New Hampshire, and Shirley Algers of Florida; previous wife, Barbara Hartley of Rock Springs, Wyoming; special friends, Lance and Shawna Larson; a loving pet companion, "Charlie"; and several grandchildren and great-grandchildren. A Memorial service will be held Monday, 2:00 PM at Claytor Rollins Funeral Home, Poquoson, immediately followed by military honors. Inurnment will be private at a later date. Online condolences may be sent to www.claytorrollins.com.